The Gold Room is a fantastic mix room filled with a combination of vintage and modern equipment, providing an accurate and balanced mixing environment. It is also perfectly suited for vocal recording and production, with an isolated vocal booth and comes with access to all of our microphones and floating gear including various guitars, amps and keyboards. The Gold Room paired with Studio 3 as a live room allows for recording drums, bands and choirs. With 12 mic tie-lines and a tight acoustic sound this setup provides a cost effective alternative to hiring a larger tracking studio. Ample outboard gear provides a fantastic addition to any recording or mixing session, easily patchable through our Bantam Patchbay. A full spec sheet is available here. Studio 3 is a spacious, modern writing room housing a Pro Tools HD Native system. With a beautiful upright Yamaha U1 acoustic piano and an adjoining isolated booth, Studio 3 is an excellent space for writing and recording. Studio 3 also comes with access to all of our microphones and floating gear including various guitars, amps and keyboards. A full spec sheet for Studio 3 is available here. Perfect for small ensembles. This versatile live room is great for that tight acoustic sound. The Milk Parlour is the latest addition to our arsenal of small mixing rooms for 2018. Centered around the SSL AWS Delta 9024, bringing that classic SSL sound to the fingertips of the modern mixer/engineer. Coupled with Studio 3 (as live room) gives the recording engineer a palette of sounds for band recording that can be taken into the mix and beyond. A full spec sheet for the room can be found here. Studio One is our largest room and is the natural choice for larger sessions and live bands. 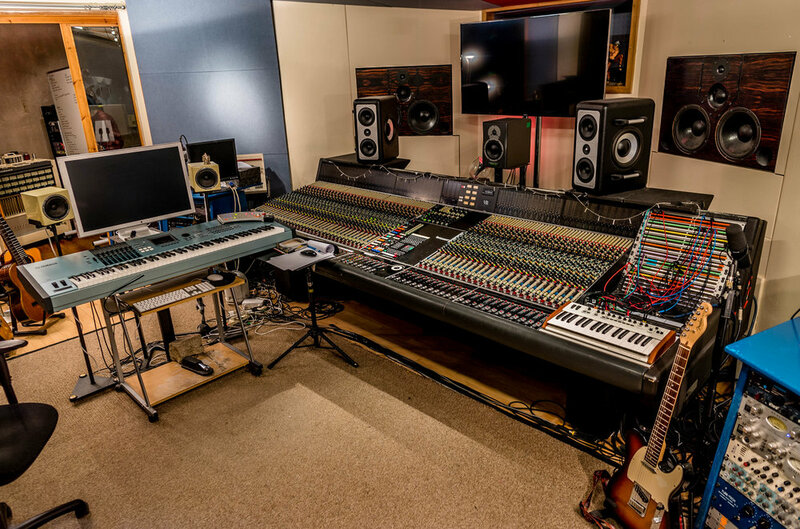 Designed and built by Recording Architecture, The control room houses a 60 channel Neve VR Legend with Flying Faders & Total Recall and provides the latest Pro Tools HD3 formats as standard and 24-track tape. The large live room (over 50 square metres) can easily accommodate the most complex of setups, with integrated isolation booths to allow for complete separation, all tied through to the control room patchbay. The size of Studio One also makes it suitable for small to medium orchestral sessions. The room is based around a 60 channel SSL E-series 6000, with a G series computer. There is a full Pro Tools HD3 rig and a choice selection of old and new outboard. The adjoining overdub booth provides line-of-sight making it ideal for vocal sessions, whilst the spacious size lends itself to overdubbing guitars and other instruments. We have even squeezed a drum kit in on the odd occasion and got great results! There are tie-lines through to the control room and re-amp facilities available. Studio 2 also comes with access to all of our microphones and floating gear including various guitars, amps and keyboards. 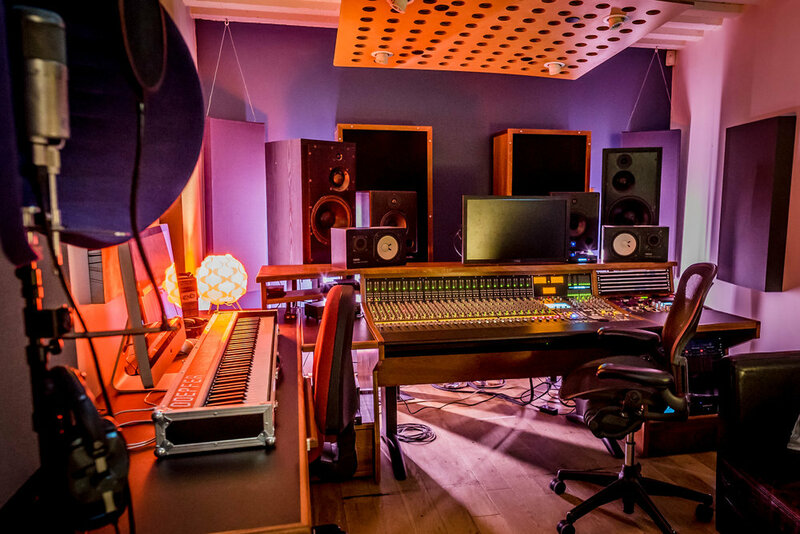 Alongside our short-term rooms, we have various production rooms available for long-term dry hire bookings, perfect for producers and mixers needing a permanent studio in London.